A British company has announced its intention to launch a big constellation of Earth observation satellites. A prototype spacecraft will go up later this year for testing, with the expectation that a further five platforms will follow in 2019. 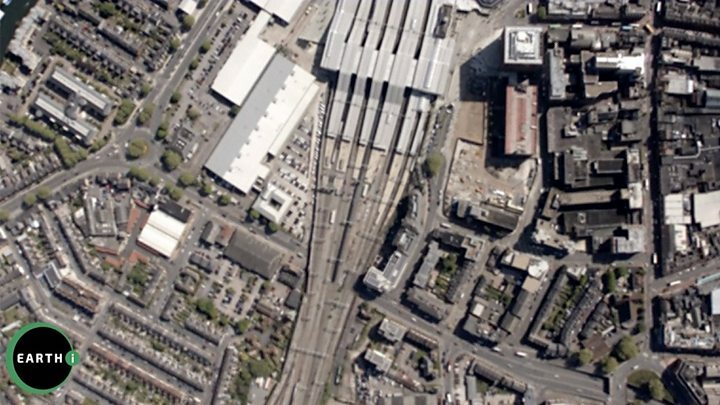 Earth-i, based in Guildford, says its train of satellites will deliver rapid, high-resolution imagery of the planet in still and video formats. At best resolution, these products will see features just under a metre across. The video is promised in full colour. It could be used to track moving objects such as cars and other vehicles; or, if the scene is held fixed on a specific point, it would enable 3D models of the ground to be constructed. Earth-i is already well established in the analytics business, processing and selling space pictures to a strong customer base. But this move, announced on the opening day of the biennial UK space conference in Manchester, would see the company operate its own satellites as well. These platforms are the fruit of an R&D project coming out of Surrey Satellite Technology Limited (SSTL), also in Guildford. The manufacturer has developed a new class of Earth observation spacecraft codenamed Carbonite. The first in this series was built in just six months and was launched in 2015. The lessons learned from that experience were then applied to a second satellite which is now set to be the pathfinder in the Earth-i constellation. "We worked on Carbonite-1 with SSTL and studied the performance to help develop the technology for Carbonite-2 which we will be calling EiX2," explained Richard Blain, the CEO of Earth-i. "As for the constellation, we will launch that in batches of five. And in terms of the architecture, our baseline plan is for the first batch to go into one orbital plane, and then for the following batches to go into different planes, so that not only do we get high-frequency revisit to places on Earth but we also get to see places at different times of the day." The total number of satellites in the constellation will depend on how the business for the pictures grows. Earth-i is chasing a burgeoning market that is attracting new types of customers who are only now beginning to understand the potential of daily, fast-turn-around imagery. So, for example, whereas governments have long made use of Earth observation (EO) data for mapping towns and cities, to plan major infrastructure ventures and to track land-use changes - the likes of the financial sector is really just beginning to appreciate the intelligence value of space pictures. Those who trade in commodities are now gaining insights on supply chains, and on the activities at particular factories, ports, mines and oil fields; activities that all have financial implications. And just as satellite-navigation data - knowing where things are positioned in the world - has become a mainstay of the smartphone applications revolution, there is a feeling that the exploitation of EO data in this domain has barely scratched the surface. This was part of the motivation for the UK government last year committing more money than any other member state to the Earth observation programme of the European Space Agency (Esa). There are big economic opportunities coming. 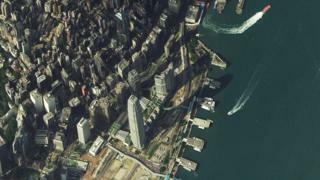 "There is an almost insatiable demand for data from space as people are realising its true value to both their planning and daily operations," said Josef Aschbacher, director of Earth observation at the European Space Agency. "Higher resolution image data from commercial organisations is likely to be very valuable either in its own right or when used in conjunction with other data sources including medium-resolution image data such as that provided under the European Copernicus Programme." Earth-i's constellation would be the first European system to provide HD video of activity on the ground. Two North American companies have already started doing this - Urthecast of Canada, and US firm Terra Bella (recently acquired by Planet Labs). Earth-i currently exploits the imagery coming from SSTL's DMC3 satellites. The capacity on this trio of spacecraft, which take 1m resolution pictures, is wholly leased by a Chinese concern called 21AT. Earth-i is the Beijing company’s international distributor. Richard Blain would not discuss the detail of the financing of the new constellation but said that a number of contracts were in place with SSTL. "We are a well funded private company with a clear financial roadmap, supported by world class professional advisers and with a number of financial instruments at our disposal in order to ensure the continued successful deployment of our constellation following on from the next prototype satellite due for launch later this year," he told BBC News.